Council officials hope to meet with the owners of the fire-hit Longscar Centre this week to assess the full extent of the damage. 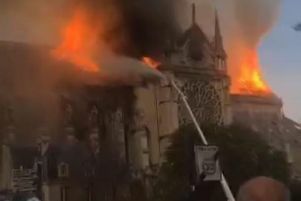 Initial surveys of the building indicated it was unsafe after last week’s suspected arson prompting the owners to demolish the worst affected sections. Demolition of the roof timbers and fire-damaged walls of The Longscar Hall, Seaton Carew. Pic: Frank Reid. Hartlepool Borough Council says it plans to meet with the landowners this week to talk about their plans for the former Coasters pub which has been vacant since 2009. The local authority stressed the responsibility for assessing the building lies with the private owners. A council spokesman said: “We are planning to meet the landowners of the Longscar building this week to discuss their plans for the building going forward. Fire officials say the blaze started in the right hand corner of the Longscar Centre on The Front at around 8pm on Tuesday. It quickly took hold in the roof space and spread along the roof causing significant damage. The fire is believed to have been started deliberately and Cleveland Police are appealing for witnesses. They said: “Police are investigating a suspected arson at the Longscar Centre on The Front in Seaton Carew. “The fire happened at around 7.45pm on Tuesday, May 8. No one was injured. The fire brigade is no longer investigating the incident. The building has been cordoned off to prevent anyone going on to the site without permission. Up to 60 firefighters were involved in tackling the fire.